Chilean professional footballer Arturo Vidal has disclosed the club he wants to join after Barcelona. Vidal moved to Barcelona from Bayern Munich last summer but lack of game time at the Nou Camp left him frustrated. 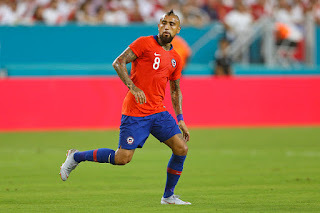 Vidal played for Juventus from 2011 until 2015 when he decided to leave the Juve to join Bayern Munich for € 40 million.